There are many variables that can create a successful event… but nothing is as memorable as the food! We strive daily to deliver exquisite cuisine creations for the smallest meeting to the largest banquet. Our on-line user-friendly menus have been designed to fit you and your attendee’s taste. We provide fresh dishes from cost-efficient options to the most opulent creations you’ve ever experienced. And, if you don’t see it, we’ll create it… don’t let the menu confine your imagination. Bon appetite! Traditional breaks are no problem, we still offer a scheduled break in your meeting room. But, a meeting planner can opt for our Break Stations as a break solution. 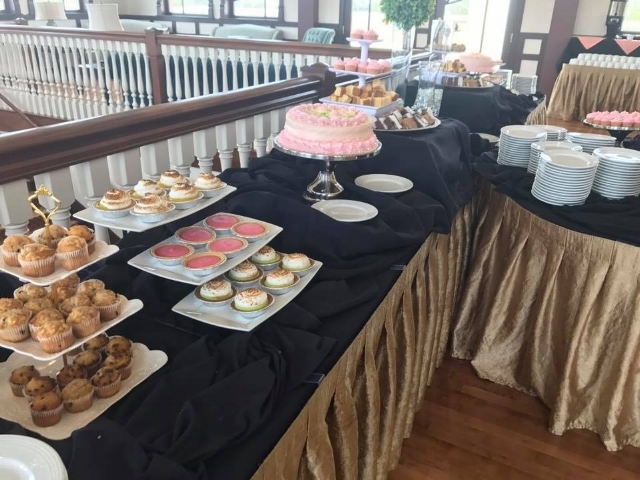 And when they do, attendees have access to coffee, fresh pastries, fountain and bottled drinks, chips, snacks... and much more. The Academy Conference Center is situated in Academy Square on Main Street, in the heart of historic Brigham City, Utah and is only half a mile from the Brigham City Temple and can host quite the variety of events!